8th of March, 2016 is when the thought of taking on the challenges faced by Earthians was expressed by Rakshith during an industry-academia interaction hosted by JNCASR. He suggested that a participation in $20 million NRG COSIA Carbon XPRIZE could be the first bold step in this direction. Umesh, a few weeks later, bought the idea and approached Sebastian. Sebastian who had been pursuing the technology for a while in his lab, endorsed the views of Rakshith and Umesh and agreed to be the third and the crucial member. It was then when Breathe came into existence. 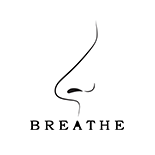 Team Indus (one of the finalists in the Google Lunar XPRIZE) has also been partly responsible for the creation of Breathe. 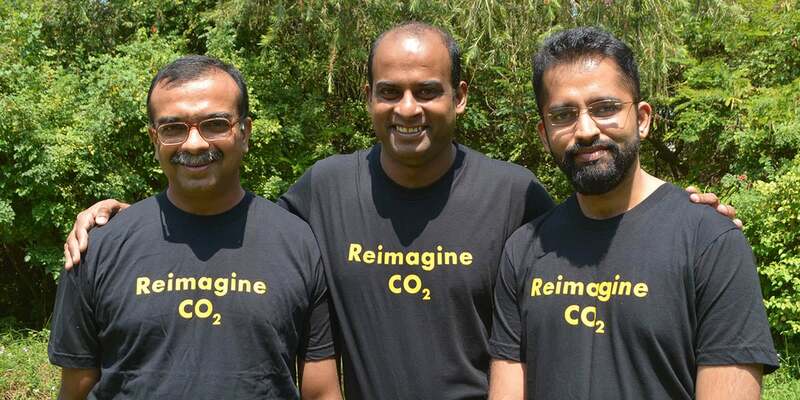 Breathe is a team of scientists, students, engineers, entrepreneurs, all having one audacious objective of containing the carbon dioxide emissions. The presence of multiple gases in the flue gas stream including moisture and air pollutants affect the efficiency and durability of the catalyst in CO2 reduction reaction. Since it is expected to follow several complex reaction mechanisms, selective conversion to a desired chemical is one of the biggest challenges. In addition, CO2 reduction process required H2, but sufficient generation of H2 is one of the biggest challenges to the human kind. In this competition, we propose a new strategy to design promising materials for the efficient and selective conversion of CO2 into methanol. Using combined information obtained from experiments and first-principles calculations on alloys/intermetallic/bimetallics/core-shell materials based on low cost Cu, Ni, Fe catalysts, we will identify descriptors of catalytic activity using machine-learning algorithms. These will be used in further theoretical analysis to predict specific materials that hold promise for CO2 reduction. The idea of the second metal to manipulate the electronic structure for the desired product via CO2 reduction using H2, which will be generated via photocatalytic water splitting. The reduction process will be tested in labscale using simulated flue gas stream. The promising materials will be scaled upto the test real flue gas stream, which produced in the industry. He has received Bachelor of Science and Master of Science degrees from Calicut University (India), and Master of Technology degree from Cochin University of Science and Technology (India). In 2003, he was selected for the NRW International Graduate School of Chemistry Program and moved to University of Münster, Germany. In 2006, he received PhD under the supervision of Prof. Rainer Pöttgen in the field of material chemistry. He was a postdoctoral researcher in the Grin group at Max Plank Institute for Chemical Physics of Solids, Dresden, Germany (2007-08) and Kanatzidis group at Northwestern University, USA (2008-10). In 2010, he was awarded the Ramanujan fellowship and joined as a faculty at Jawaharlal Nehru Centre for Advanced Scientific Research, Bangalore, India. He has selected for young research investigator by American Chemical Society (2014), Royal Society of Chemistry (2016) and Institute of Physics (2016). He is also awarded for Material research society of India medal in 2016.